The smartphone industry has been in a growth mode despite the tough economy. But even though you might be selling tons of handsets and locking up new and existing customers to two year contracts doesn't mean that you can't do better. Even the number one mobile carrier in the States needs to make some adjustments to improve the bottom line, especially when your master is those investors on Wall Street who want to see you squeeze blood from a rock. The call centers involved are in Bellevue, WA, Southfield, MI and Houston, TX. No reason was given by Verizon for this action. When you consider that the company added 1.5 million net retail subscribers in the fourth quarter, the most in three years, you wonder what was the thinking behind the closings and pink slips. Sure the bottom lime showed that the company lost $2.02 billion in the period, but that was after a $3.4 billion charge for a pension plan revaluation charge. Data revenues surged. What might be the problem is the price of the stock which has been trading between 34 and 40 for the last year, basically going sideways. If the layoffs and closings can improve profits, the hope is that investors will see this growth and start buying Verizon's common stock. If there is another reason for what Verizon has done, it might be good public relations to announce it. Just heard the news today...actually this morning. I live in Houston, TX and this was one of the best call centers in the city. They paid substantially well and their employees were loyal....they never left. This was a shock..I feel sorry for the employees. I think being paid well was the reason they were let go. When they need to they just hire more people at minimum wage. Corporations will do anything to improve the bottom line to please the almighty shareholder, people are just numbers nothing more. I feel bad for them, myself being a loyal employee for a giant corporation for 8 years then being kicked out the door, it really is a slap in the face. This is not the case in the corporate retail stores. We are losing more benefits everyday. Getting little to no raises accross the board. Verizon Wireless is making more money then every before. The pressure is due Verizon Communications crumbling company. Since they own over 50% of VZW we are considered part of their holdings. Verizon Communications is losing more money then VZW's net gross. Thus we are being punished due to another failing company. VZW was an amazing company and it still is compared to most other corporations but this is changing quickly. VZW needs to buy their way out of this atrocious conglomerattion. Kinda makes you wonder if they'll do something like Alltel did in the past. Alltel was a cellular/landline communications company. They eventually dropped their landline business and became exclusively wireless. Unfortunatly for Alltel they didn't have a strong foothold in the wireless industry, so they tanked. I think Verizon as a wireless industry will continue to grow and improve but the wireline industry is falling, no matter what company it is. Cable companies and VoIP are replacing traditional phone service. The best thing in my opinion other than Verizon's wireless branch is FiOS, which I don't even have, but heard is pretty good. They should really say, they MOVED these jobs overseas. Then it will be more believable then a cut throat to the American people. how often do you call Verizon customer care? I speak to someone in America every time that i call....overseas? i wish people would think before they would respond. I call (and work for Verizon) customer service every day for a customer and have yet to get someone "overseas"
You work for Verizon? Oh sorry to hear that. You think the corporation's really give a s**t about us? Yes I called Verizon today 3 times about there s**tty DSL box keep losing internet. I never said they DID move their s**t overseas , it was implied as it wouldn't be surprising. Verizon land line and Verizon wireless are 2 separate companies that run independent of each other that are owned by a conglomerate "VZ Communications". I used to work for VZW and even though I got let go in the Alltell merger so they could save a bunch by keeping the much cheaper alltell employees over the large group of VZW employees that they gave the boot to, my experience with them was extremely positive. Its definitely one of my favorite places I've worked. And yea as far as the benefits go, they are awesome. T-mobile's benefits are actually nicer in many areas but there is a big pay difference between the 2 carriers. DSL Box???? We're talking about Verizon WIRELESS....not Verizon....like atheistic said "think"
Every single VZW call center agent is located in the US. @atheisticemetic Sparhawk is correct, all Verizon WIRELESS everything is in the US. Verizon Communications has quite a bit over seas. These are two different companies for all intensive purposes. i have a friend that works for the houston center. they are not getting a pink slip. they are getting the option to relocate to another center. Wow, nice to see all the knee jerk reactions to a story that left out significant details. There are no jobs going overseas, most of the employees are being offered relocation packages if they can and want to move within the company, and those that don't want to or can't relocate will be offered severance packages commensurate with their tenure. It's always difficult to be told your job location is closing down, but these employees will be given every chance to find another position within Verizon Wireless. But let's not let some mere facts get in the way of the narrative. 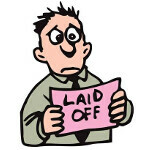 Consolidating operations is the next best thing to lay-offs. Personnel are a company's most costly expenditure - every time. After that, it's property and hard assets that are not directly tied to revenue (like a network). You need to stop and think for a minute. The hard number we have is 3,100. But, what does "most" really mean? 2,700? 2,500? 1,551 would technically qualify as "most". These are call center workers, so I doubt there's very much moving expenses included in the offer to relocate. Getting to their new duty station is mostly going to be on them. All they're really getting is a personnel slot held open for them. And where exactly are they relocating to? New city? New state? Across the country? It's one thing to uproot yourself from your home, family, & friends. That can make relocation stressful enough all on it's own, but what about the employees that have their own family's that are going to be uprooted too? I've taken a relocation before and it was the absolute worst decision I've ever made. And I was in the military so I'm even used to being moved around. The truth is that Verizon knows that offering to be relocated likely won't be taken up but they have to do it to cover their own asses in the PR game the media plays. They still get to be the good guy and save money. This is so true.....when I was 19 a company I worked for relocated to Arizona to cut cost, and I had a job reserved should I want to have it if I relocated to Arizona. Be for real how many people can just pick up and leave to another location, or would want to move to the area that said company is relocating to! My willingness to relocate for work I was interested in has enabled me to never be unemployed. I'll acknowledge that this should not be the only consideration (family, locale, etc), but when I read about mobile-ready individuals, or even families that won't move to where there is work, or someone doesn't want to work because it isn't "their kind of work", they've made their choice. For me, it's not an option, if I've pursued every practical opportunity locally, I look everywhere else. No way am I falling into that 99 week unemployment hole. Remaining in the workforce keeps you marketable for other work. If you're open to relocate, you get to see a lot of this country (speaking in terms of the US). I've lived over a dozen states, have friends around the country and have loved every minute of it. It's not for everyone, but again, if you're single, upwardly mobile and ambitious, you are selling yourself short by limiting your options. before I met my wife and had a family I moved every few years. I love the thrill of "new". Yea, I have friends all over the state now so from jax to tampa to the keys, i have friends I can visit. I actually met my wife while visiting one of those friends. Change can be a great thing. If your single and its relocating to a decent area, u should take the chance to relocate.. especially if they are willing to pay some relocation costs.. and VZW does that sometimes. If you have a home its not that feasible.....you have to 1st sell the home and take other things into consideration...you don't know every individual situation nor do you know that everyone not working was offered a job relocated else where. I don't believe everyone is being offered a relocated position. But, I commend you and your diligence. Right. It is so simple to pick up and move your family. They know many will be unable to do so and they count on it. after wasting almost an hour talking to several Verizon service reps on the phone, I truely believe most of them don't deserve the jobs. The last rep I talked to was finally the one actually knows what MobiTV is and able to help me add such feature & app on my new HTC Rezound. Hope Verizon keeps that guy, one out of 4 reps.